I remember years ago, shortly after I graduated from college, seeing a reference to Kristin Lavransdatter. The book sounded intriguing – a relatively unknown work by a Danish-born Norwegian convert to Catholicism plumbing the depths of questions about love, marriage, desire, and shame. Though I was intrigued, as with so many other books, I filed it away and never got back to it. But the prompting of my co-blogger, along with other factors, led me finally to pick it up (on Kindle, thank God – much lighter than the physical book 😉 ). 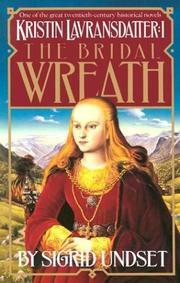 I just finished the first part, The Bridal Wreath, last night, and all I can say is: wow, thanks, C! This is one of the most profound books I have read this year, perhaps in my life, and I’m only through the first part. The story centers on the title character, Kristin Lavransdatter, the daughter of a medieval Norwegian farmer, Lavrans (medieval Norwegian last names were not especially creative, consisting of the father’s name followed by sohn [son] or datter [daughter]). We meet Kristin at a young age, and the first part of the story follows her growth up to her wedding night. The path toward this night is anything but simple, though. In her early maidenhood, her father Lavrans finds a fitting match and arranges a betrothal. Though she wants to follow her father’s will, it pains Kristin, as she has deep affection for her childhood friend Arne. A series of mishaps leads Kristin to ask her father to delay the betrothal ceremony so that she can spend a year in a convent. During this year Kristin meets and falls in love with a gentleman (and I use the term loosely) named Erlend. Unbeknownst to Kristin when she first falls for him, Erlend has already sired two children in an adulterous relationship. One can easily imagine how this goes over in medieval society. Nevertheless, even once she has learned this information, Kristin remains firm in her desire for and love of Erlend, to the point of breaking off the betrothal her father had arranged despite the pain it causes him. The first book ends on Kristin’s wedding night, which turns out to be anything but the storybook wedding she had longed for. I’ve deliberately left some of the story’s details vague so as not to give away too many spoilers (though it’ll be hard to keep this up as I post on the next two parts of the story). Suffice it to say that Unset’s novel is one of the most profound meditations on the nature of love, marriage, desire, shame, guilt, and family loyalty, among other themes, that I have ever read. The time of arranged marriages in western civilization is long past – most people today, at least in the west, choose their spouses, and usually do so out of love. Unset’s story explores how the nature of desire sometimes clashed with the practice of arranged marriages in medieval society. In the process, she suggests that marrying for love in terms of affection is not necessarily the best recipe for success. There is no doubt throughout the story that Kristin has deep affection for Erlend, even after his past catches up with him and impinges on both of them. Several characters in the story wonder aloud whether the love Kristin and Erlend have for one another can overcome his track record. Though I’ll have to wait to read the next two parts to see for certain, the early indications are not promising. But Kristin Lavransdatter is not simply about Kristin and Erlend. Unset also masterfully shows the effect of this relationship on Kristin’s other relationships. Whereas Kristin enjoyed a deep and tender relationship with her father during her childhood years, her decision to break off the betrothal he had arranged, and particularly for an adulterer who has sired two children out of wedlock, puts an intense strain on her relationship with Lavrans. Perhaps most intriguingly, this is not because of some antiquated commitment to arranged marriages. At one point in the story, Lavrans tells his daughter that, had Arne asked for her hand, Lavrans would have approved. Indeed, Lavrans himself wrestles with the circumstances of his own marriage to Kristin’s mother, as each of them had affections for someone else. Nevertheless, they both followed through with their parents’ commitment, and managed to sustain a successful marriage. On a purely thematic level, then, this is a powerful book (so far, though I doubt the rest of the tale will disappoint), and this is to say nothing of Unset’s prose, which goes down like a nice glass of Pinot Grigio. I wish I could say more, but this post is already approaching my (arbitrary) limit, and so, until I read the next part, I will simply say: read The Bridal Wreath. It will give you much food for thought on one of the most important questions we all face, and it just might challenge the way you think about love and marriage. Twenty-seven down, (at least) twenty-five to go. 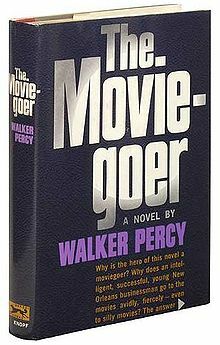 Continuing with the Catholic novel theme, this past weekend I read Walker Percy’s first novel, The Moviegoer. Set in Louisiana, where Percy spent much of his adult life, the story centers on John Bolling, the eponymous moviegoer of the title. As I sat down to write this blog post, I happened upon the epigraph of the novel from Søren Kierkegaard: “… the specific character of despair is this: it is unaware of being despair.” Being the brilliant literary critic that I am (/sarcasm), I quickly realized that this epigraph epitomizes John Bolling. Bolling, aka Binx, is a man with no clear direction in life. A veteran of the Korean War, he now works as a stockbroker in Gentilly, LA and finds what little meaning he can at the movies. The novel describes, at times beautifully and often meanderingly, Binx’s “search.” “What is the nature of the search? you ask. … The search is what anyone would undertake if he were not sunk in the everydayness of his own life.” Though most people associate the notion of a search with a quest for God, Binx is reticent to identify the object of his search. Though he identifies himself with the 2% of Americans who are atheists or agnostics, he leaves open the possibility that the 98% who believe in God may be right – he simply doesn’t know. Given this understanding of despair, it is hardly surprising that Binx spends his life doing anything but settle down – his self-avowed goal is to avoid everydayness. Unable to develop or maintain meaningful relationships, Binx periodically has flings with his secretaries, with only minor qualms about mixing business and pleasure. The only escape he can hold on to is one that, somewhat oddly, he shares with his fourteen-year-old half-brother Lonnie. In many ways Lonnie is the polar opposite of Binx: confined to a wheelchair, Lonnie is a devout Catholic who wonders about things like habitual dispositions. In a rare moment of vulnerability, Binx tells the reader that he envies Lonnie’s ability to offer up his suffering to Christ. Despite their differences, there is a deep affection between the two, which plays a vital element in the stories denouement. Indeed, it is a combination of this relationship and Binx’s relationship with Kate, another main character in the story, that leads to the surprising end of his search. As with the other existentialist novel with which I began this project, I’m sure there’s more to The Moviegoer than I caught on the first read through. The search is clearly a central theme of the book, and yet I don’t think I’ve quite gotten it. Even the title is a tantalizing riddle. At one point Binx says of another character in the story that he, too, was a moviegoer, even though he didn’t watch movies. There’s something there that I’d like to get, but it would take at least a second read through for me to begin to figure it out. Alas, such is not the nature of this project. Regardless, The Moviegoer is a great introduction to Percy and an interesting window onto the Louisiana of the 1950s. Nineteen down, (at least) thirty-three to go. Miller’s book is a fascinating sci-fi take on the relationship between Church and State, faith and reason, technology and human sinfulness, and the need for grace. The novel is set in the distant future after a nuclear holocaust has wiped out most of civilization and focuses on a monastery in the American Southwest dedicated to the Order of Leibowitz. The story is divided into three parts. The first describes life in the dark period that followed the nuclear holocaust and continued for centuries upon centuries. In the second part, the secular world is beginning to rediscover much that had been lost in the war, and it is on the cusp of a new Renaissance. The third and final part is set in the distant future, after human beings have recovered the learning of the pre-nuclear war civilization and moved beyond it. Colonies have been established in space, cars now transport people to their destination with no need for a human driver, and machines can take dictation in one language and translate it to another. In the midst of this technological renewal, however, the threat of another nuclear threat hovers over civilization, poised to sink the world into yet another Dark Age. Miller paints a grim picture of the world after the first nuclear war. Radiation has left countless unfortunates maimed and mutated, thought by some to be sub-human, but referred to as “the Pope’s children” by the Church; food is in scarce supply, even for the monks of the abbey; travel is long, tedious, and dangerous. These harsh conditions serve as a backdrop for one of the main themes of the book, the ambiguity of the Church’s role in preserving knowledge. The ambiguity lies not in the typical new atheist rant about how the Church suppressed science and learning – in Miller’s story, as in any fair-minded assessment of medieval times, it is the monks who preserve learning, fiercely protecting the fragments that survived the nuclear holocaust. No, the ambiguity lies in the use to which that knowledge is put. As Norman Spinrad notes in the introduction to the edition I read, one of the running questions in the novel is whether humankind, once given the technological capability, will inevitably choose nuclear destruction rather than the ways of peace. In Miller’s story, the answer seems to be yes. At first glance, this seems like a rather bleak picture of humanity. And yet, as we look back on the last century, indeed, on the history of the world, can we really think it’s an unrealistic one? Given the atrocities we humans have perpetrated on one another, one could argue that it’s nothing short of a miracle that we haven’t yet blown ourselves to oblivion. Regardless of whether one accepts Miller’s seemingly dismal view of the world, the book touches on a number of deep and important themes, and is well worth a read. Eighteen down, (at least) thirty-four to go. This evening I finished Shusaku Endo’s Silence. Endo, as the translator notes in his preface, is sometimes described as the Japanese Graham Greene, and as I read the story I did notice some similarities to Greene’s The Power and the Glory. Set in 17th century Japan, the novel follows the story of a Portuguese Christian missionary, Sebastian Rodrigues, who heads for the island with a companion despite the recent outlawing of Christianity and accompanying persecutions. Endo paints a vivid and stark picture of the perils these missionaries and others like them faced. To reach the island, they have to sail ashore on a beach rather than at a harbor and under the cover of dark. The missionaries hide in a small hut in the mountains during the day and minister to the underground Christians only at night. Travel to another underground Christian village is fraught with danger of discovery and imprisonment. Moreover, the Japanese government offers a generous reward to those who turn in Christians – an understandable temptation to peasants living on next to nothing. Less than half way through the novel, Rodrigues is captured, betrayed (unsurprisingly) by the very man who brought him to the island, a Japanese Christian who regularly renounces his faith to save his skin. The rest of the novel describes how the priest wrestles with his faith, particularly in light of the suffering his arrival has brought upon the Christian peasants of Japan. The silence of the title refers primarily to the silence of God in the face of the horrific suffering the Japanese Christians endure: some are tied to stakes in the ocean and left to die over the course of several days; others are bound and thrown into the sea to drown; another is beheaded by a samurai; and still others are tortured in “the pit,” the gruesome details of which I’d rather not go into here. Faced with this horrific suffering, Rodrigues regularly asks God why he remains silent. Ought he not show himself the Lord of the universe when his chosen ones are suffering at the hands of his enemies? At the same time, the priest frequently meditates on the face of Christ, the one who also experienced the silence of God and whose beautiful face the Japanese rulers want Rodrigues to trample in an act of apostasy. In his better moments, he sees his own suffering and that of the tiny flock in his charge as a participation in Christ’s own sufferings, but it is clear throughout the novel that his courage and conviction are challenged by his experience. Add to this experience the weakness of his betrayer and of another Portuguese missionary, Ferreira (an actual historical figure), who apostatized and chose to collaborate with the Japanese, and the temptation to follow suit becomes practically overwhelming. Silence is a complex, moving, and challenging novel. As I read it, I felt torn in two directions. On the one hand, as Rodrigues continually asked God why he remained silent, I wondered how well he had learned the gospel and counted the cost before he set out on his mission. Jesus never said following him would be easy – on the contrary, those who would follow him can expect the same kind of treatment he received, and last I checked, crucifixion isn’t a walk in the park. But then I asked myself, how would I have responded in the same situation? It’s easy to accept suffering when it amounts to an annoying student here, a tedious meeting there. If I were to witness first hand the kind of horror that Rodrigues faces, could I look it in the eye and remain strong? I hope so, but I don’t know. One more theme the book emphasizes is the seeming incompatibility between Christianity and Japan. The Japanese rulers insist that Japan is a “swamp” in which the sapling of Christianity cannot grow. William Johnston notes in the preface that Silence caused quite a stir among some contemporary Japanese Christians, who would contest this claim. Yet I wonder if the voice of the Japanese rulers represents Endo’s own voice. He himself was a Christian, and he portrays many of the Japanese Christians in heroic ways. I suppose the ambiguity is one of the things I found compelling about the novel – despite its simplicity of style, the thrust of the story is not necessarily as straightforward as it seems. 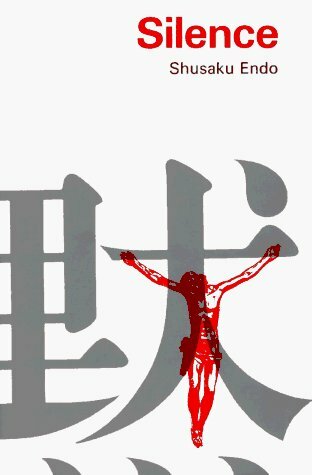 If you have any interest in 17th century Japan, the interface of Christianity with foreign cultures, or issues of faith, doubt, and apostasy, then I highly recommend Silence. Five down, (at least) forty-seven to go.